﻿ Residenza Borghese Rome. JIMAT di Agoda.com! Direka untuk kedua-dua tujuan perniagaan dan percutian, Residenza Borghese terletak di lokasi strategik di Via Veneto; salah satu kawasan yang paling popular di bandar tersebut. Keseronokan pusat bandar hanya sejauh 0.3 Km sahaja. Persekitaran yang terjaga dan kedudukan berhampiran dengan Chiesa Evangelica Luterana di Roma, Porta Pinciana, Saint Patrick's Roman Catholic Church memberi hotel ini daya tarikan istimewa. Residenza Borghese menawarkan perkhidmatan yang sempurna dan semua kemudahan penting untuk menceriakan pelancong. Hotel ini menyediakan akses kepada pelbagai perkhidmatan yang luas, termasuklah tempat letak kereta, khidmat bilik, pengangkutan lapangan terbang, bilik keluarga, lawatan. Hotel ini mempunyai 16 bilik yang sangat cantik, setiap bilik dilengkapi televisyen skrin rata, bilik larangan merokok, penyaman udara, pemanas, meja. Hotel ini menawarkan kemudahan hebat, termasuk pusat kecergasan, spa, rumah urut, gelanggang tenis, untuk membantu anda berehat selepas hari yang penuh aksi di bandar. Kemudahan yang hebat dan lokasi yang sangat baik membuatkan Residenza Borghese menjadi asas yang sempurna untuk menikmati penginapan anda di Rome. This is not really a hotel. It is more like an appartment. So there is no restaurant for the breakfast. When they said breakfast is included, it is really a very basic one available in the room, i.e. coffee and cookies. No internet in the room, only in the receptionist area. I think this could be improved. Jean, the lady at the front desk, made our stay in Rome the best of our whole holiday. Her assistance and advice about Rome and sightseeing and her local knowledge help us enormously. Hotel was comfortable and an excellent location. Italian people are great, and Rome is just stunning! The hotel is in a great location. Unfortunately the room is not the same as out lined in photo's on the web site. Our room was tiny. There is no free parking on site, there is a fee. Great eateries and Cafes all around you. 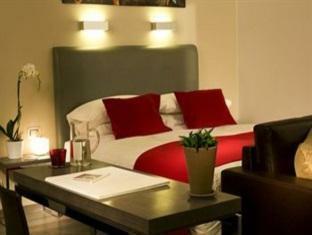 Nice hotel for good price. Rooms clean and comfy, but small. But good enough for sleeping. 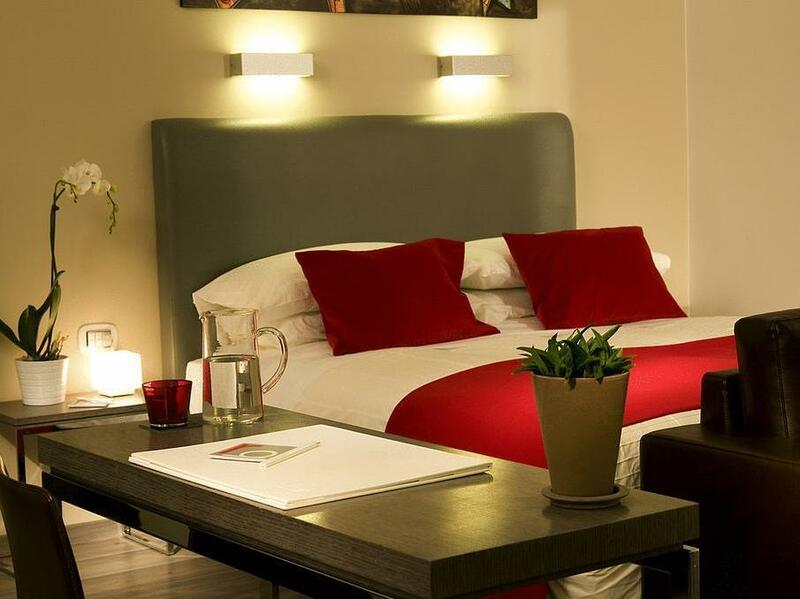 If you wish to spend more time in your room, you better choose a different hotel. Service is good. Breakfast provided in the room is rather poor. And I would not pay extra money to book this. Better go the Italian way and have your coffee with something nice outside. A perfect place to stay for one day if you have already been in hotel. We visited just before Christmas where the city is almost empty and no tourists are in sight. It might be more busy during tourist seasons. The breakfast of the place is very basic so better to have something outside in one of the many nice places there. This hotel ticked all the boxes. The staff were very helpful and courteous, the room was comfortable and clean, the shower was to die for and the hotel interior very stylish. It is located close to Via Sistina (Spanish Steps), Via Veneto, Villa Borghese and gardens and Piazza Barberini. A wonderful place to spend my final nights in Rome. my first time to rome and i found this hotel in agoda with interesting offer, the staffs are friendly n will explain anything you want to know . the place convenient too, around there shopping area and food shop. you can get the train easily to visit colosseum and popular church..
great space, however it is hard to locate the hotel at first. There wasn't a hotel sign outside and the hotel lobby is on the upper floor. we loved this little find... which was tricky, but we managed to locate it. 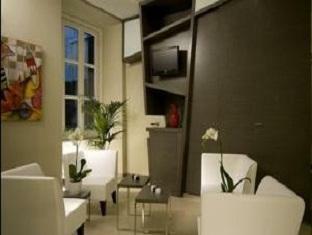 very boutique in style, not a hotel at all, but rather a private residence experience right near the heart of rome. modern, chic, minimalist. we just loved it - and it was a bargain for all that it offered at this price. breakfast was pretty average (croissants with waaaaaay too much nutella) - though the overall experience was great. we loved the way it was tucked away and you'd walk right past it if you didn't know that it was there. in fact, we did walk past it even though we did know it way there (haha). we were both very happy with the agoda rate (cheaper than the hotel's website rate) and if we could get it again at the same rate, we'll return. residenza borghese hotel is a guest house, but not hotel. 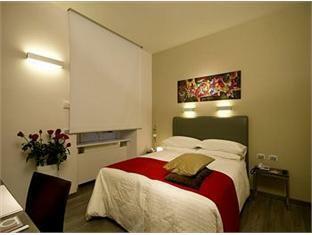 it is a residential building and there are residenza's small rooms in 3 sections of the residental building. the check out was very early at 10 a.m., while everywhere else is 12 p.m.the reservation desk officer was very polite and helpful. she tried to shows us convenient,budget restaurants that make home made pasta & interspar market to buy food if we want to eat in the room. the bathroom was contemporary. Litet men fräscht, bra läge i rom med gångavstånd till det mesta. vi är väldigt nöjda med vår vistelse! rummen va rena, snyggt designade och ac fungerade utmärkt. badrummet var jätte snygg, bra vattetryck m.m. avsaknad av tv-kanaler som inte va italienska men man är ju inte speciellt mycket på rummet heller:) läget va super bra och man har gångavstånd till allt som staden har att visa. vi kan deffinitivt tänka oss att bo här igen. När vi väl hittade hotellet (som du enbart finner om du vet gatan och numret. Det enda som visar att det är ett hotell är en pytteliten skylt vid porten)var vi mycket positivt överraskade! Servicen i receptionen var fenomenal, rummet var i och för sig litet men otroligt fräscht och modernt! Toaletten var också stilren och senaste modell! Oklanderlig städning varje dag och frukost på sängen (de serverade alltid frukosten till rummet). Dock var inte frukosten så mycket att hänga i granen: varsin liten bulle, en croissant, en yoghurt och en "roste-macka" i förpackning´. The och kaffe fick man koka själv i en vattenkokare på rummet. Minus för det! Hotellet låg nära parken (Borgheses) och endast 10 min gångväg från Fontana de trevi och spanska trappan. Cirka 20 min gångväg till Colosseum. Ingen stökig trafik eller diskotek i närheten! Ett litet minus får de dock för en hård säng! Dock uppvägs detta av att de faktiskt hade en dubbelsäng och inte två enkelsängar de ställt ihop men som ändå bara delar på sig om man vill ligga nära sin partner :) På det stora hela var vi MYCKET nöjda med vår vistelse! b&b perfetto per visitare la città, per chi trascorre poco tempo in camera ma non vuole rinunciare ad una camera moderna e dotata dei confort necessari. La camera (114) silenziosa e con ampio bagno. Pochi minuti a piedi da Via Veneto, da Piazza di Spagna, Fontana di Trevi. Raggiungibile a piedi dalla stazione Termini. Vicinissimo a Villa Borghese. Consigliatissimo a giovani coppie per un we in capitale. Værelset er lille, udsigten var til en lille lukket gård så der kom intet luft ind af vinduet og aircon duede ikke. Håndtaget til toilettet blev ved med at falde af, og tapetet var skrællet af ude på badeværelse flere steder. Morgenmaden som vi betalte ekstra for ved booking var det dårligeste vi nogensinde har oplevet på et hotel, man ringede til receptionen og så fik man en tør croissant og en yougurt. Området var okay, og lå i gåafstand til det meste, ca. 10 min til de spanske trapper. Vi boede i værelse 102 som ligger op af receptionen og der var enorm meget larm hele natten fra folk der kom og fra receptionen og vi er normalt ikke sarte med lyde. Hotellet ser rigtig fint ud men lever absolut ikke op til standarten og det var super skuffende da det ikke er et billigt hotel.